Meghan shows off her first King salmon, a 20 lb. hen she caught while drifting Pautzke Bait Co. Fire Cured roe! We've been fishing the Sacramento River for Kng salmon and the catching has been very good! 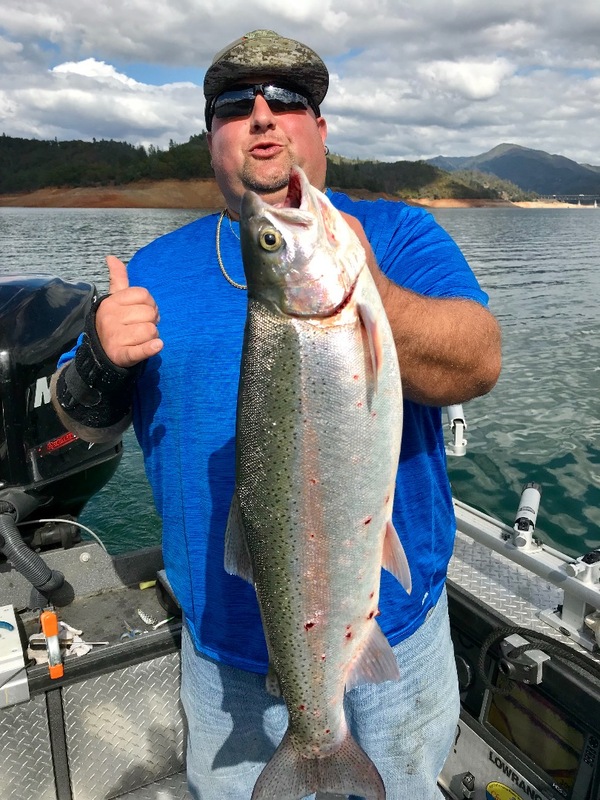 If there are any King salmon fans out there who havent had a chance to get out after these hard pulling fish, now is the time to get that last minute trip scheduled. We have some boats available, but time and availability is limited as we get ready to close out the fall season in the next few weeks. if you cant make it out in October, November and December will have some "late fall" Kings in the system around mid November. If water conditions allow, there should be a 4 week window of available opportunities for some great King salmon action in the upper river near Anderson. Last year the late fall fishery was quite good and the same is anticipated for this season as well! Don't forget, we also experience some of our best Sac River steelhead and trout fishing this time of the year as well!